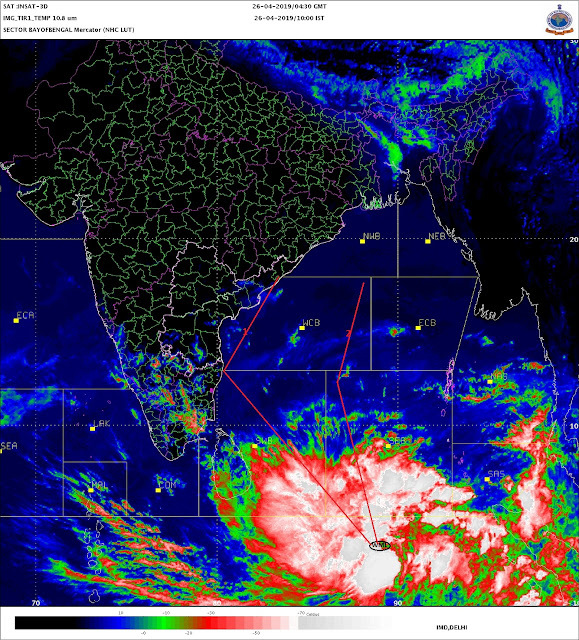 No rains period continues in the entire sub continent region. The reason is a dominant "high" in the 500-700hpa heights, stagnant over the north-west India areas. Resultantly, there is above normal warmth over the region, with places in Sindh and rajasthan recording upto 37c, in 2nd. week of November ! Nights are just about getting a bit cool, with the plains in Pakistan recording lows in the 8-10c range, and the northern plains of India recording between 10-12c, still, above normal..However, the southern half of India remains around normal. Srinagar reached 1.9c yesterday(6th.) and Leh was at -5c.Both are around normal. Clearly seen in the IMD maps above. We now have to look out for: - The "high" to shift eastwards, toenable some rain to commence in the south. - The WD to move eastwards along the Kashmir region to produce some rain/snow over the northern areas. - To wiat for the formation of a low, expected middle of next week, in the bay. Could later become a depression.